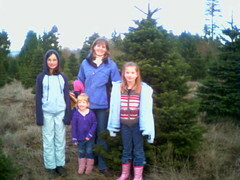 We spent a great, brisk afternoon choosing and cutting this noble fir as our christmas tree. Everyone agreed it was a fine speciman. A great day!